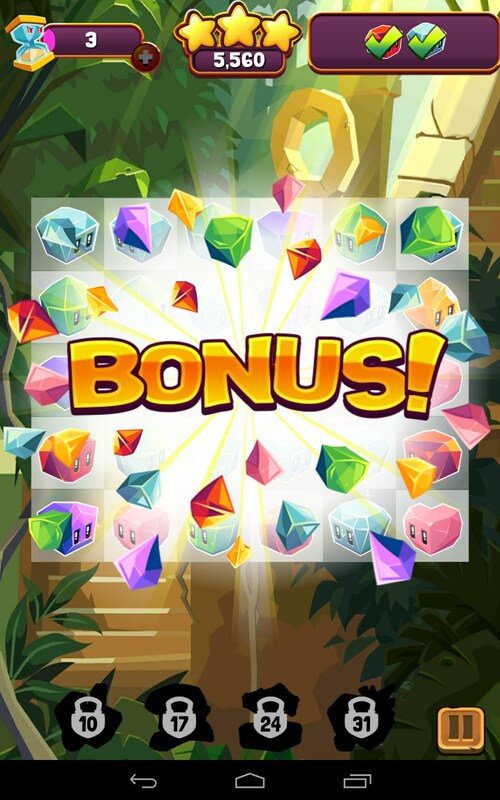 Jungle Cubes – Games for Android 2018 – Free download. 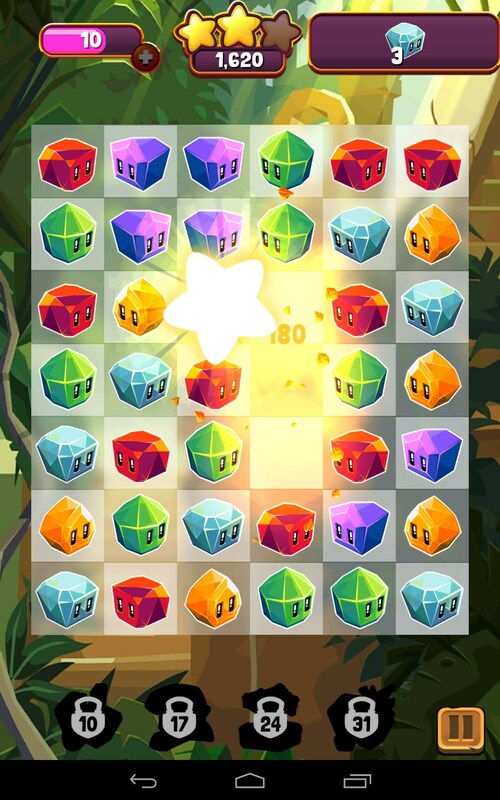 Jungle Cubes – Dynamic and colorful match 3 with good twists. 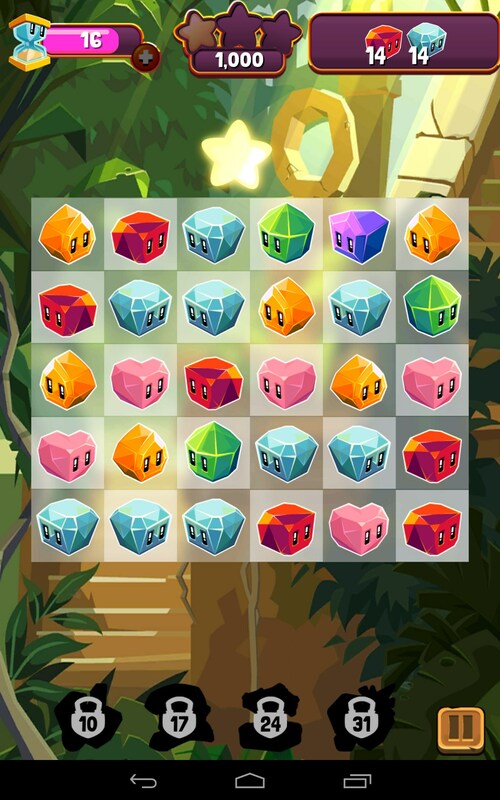 Jungle Cubes for Android is a cool match 3 puzzle game with interesting graphics, huge bonuses and satisfying chain reactions. This one is action packed. 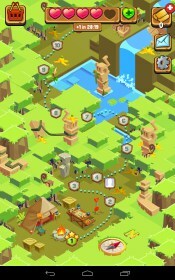 Jungle Cubes takes your standard match 3 play and gives it a tribal jungle sort of twist. There's the usual game board, populated with gemstones that all have sort of a Hawaiian tiki idol look to them. The colors are vibrant and inviting and inspire play and discovery. As per usual, make matches of 3, 4 and 5 to clear them form the screen. Gems can be moved in any direction, including diagonal, and can be placed in virtually any space on the board, not just adjacent ones. You can even make matches at right angles. But hurry, because once you touch a gemstone, you only have 1 second to move it, so no dilly dallying. The freedom of movement creates a lot of opportunity to trigger chain reactions, which result in pixels exploding everywhere onscreen in a burst of color. There are several fun power ups that add to the enjoyment, and an interactive map that displays all the levels to look forward to and conquer. It's all very exciting and fun to look at. The graphics are quite nice and dripping with saturation. The animation is decent but could have been better; some of it renders like the frame rate is skipping a few beats, but it doesn't impact the enjoyment of play. The sounds are good without being annoying and shouldn't disturb others nearby. Jungle Cubes could use some refinement and polish, but over all, this is a very enjoyable match 3 game with some great visuals and good twists.